Nick Vance of Kent State (as well as Deep Sleep and Suspect) and (16 year old) Drew Owen of Sick Thoughts have formed a new project called Deformities. They tag themselves punk garage pop lo-fi shitgaze. That sounds about right. The duo has a 12 song LP that will be released at some point in the not-too-distant future. The LP was recorded and mixed in Los Angeles, CA and Baltimore, MD. This here is the 1st single. 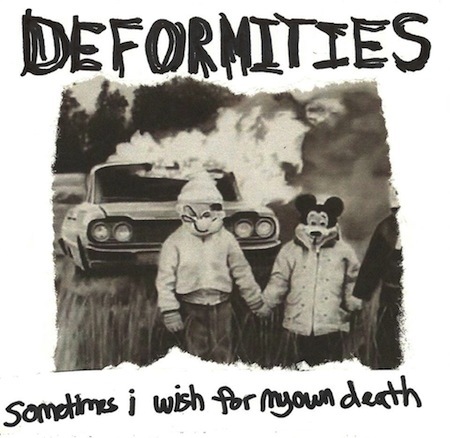 Pay-What-You-Want for the Sometimes I Wish For My Own Death single @ deformities.bandcamp.com.